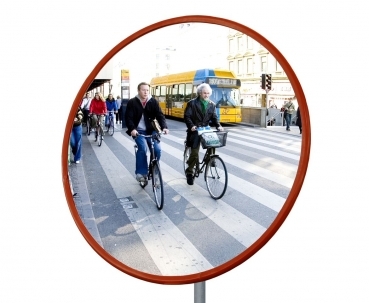 The mirror is manufactured in two different versions: acrylic and polycarbonate. The mirror is fixed with silicone in a sturdy frame and reinforced on the back. Both versions are TÜV certified. 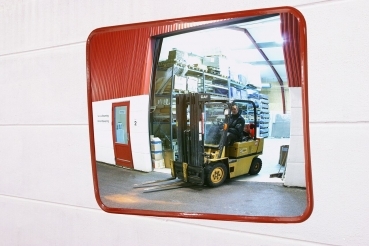 The TM-I mirror increases safety in traffic, in industrial areas, in underground car parks, in shopping centers and on private driveways.